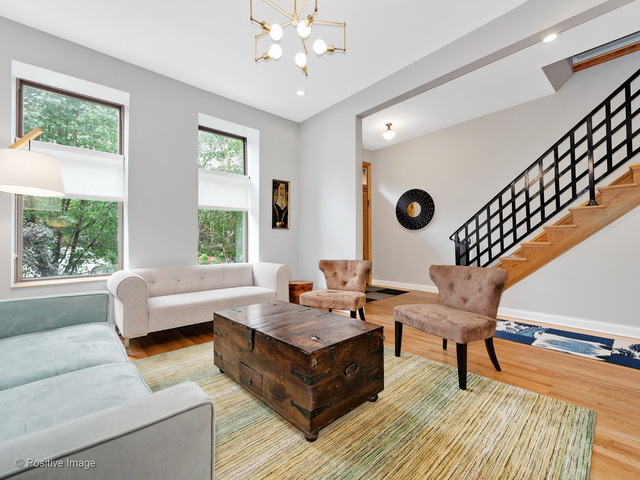 Perfectly located in the heart of West Town/Ukranian Village, gorgeous renovation of Italianate style 1800’s all brick 3 bedroom, 2.5 bathroom home. 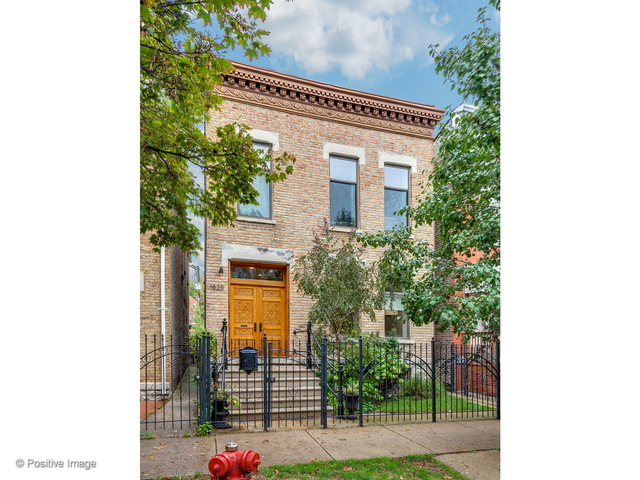 This 2,156 square feet single family home strikes the right balance of elegant and modern architectural features with tall windows & 10′ ceilings, large rooms, limestone steps, zinc cornice, marble tiled bathrooms, front double doors, 2nd floor laundry and enviable natural light. 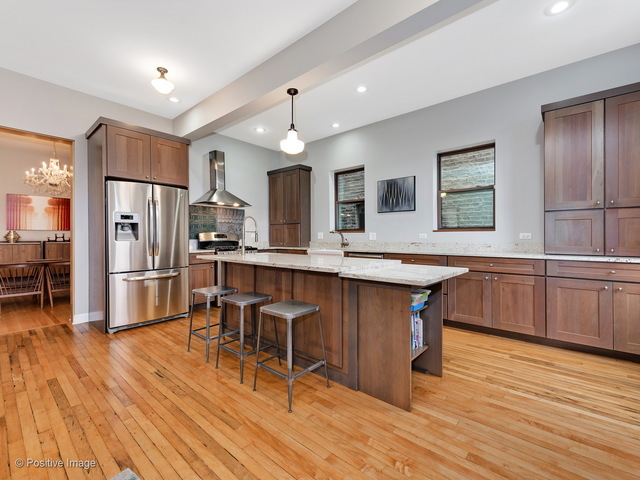 The kitchen has an 8 foot long island, cherry cabinets, porcelain apron sink, granite countertops, stainless steel appliances and an adjoining family room than can also serve as breakfast area. The master suite includes Carrara marble tiled bathroom, double vanity and a ginormous walk in closet. All newer mechanicals including new 200 Amp electrical service, dual zoned HVAC, tankless water heater, copper plumbing. Ample storage space in the unfinished basement that has drain tiles, sump pump and flood control check valve. 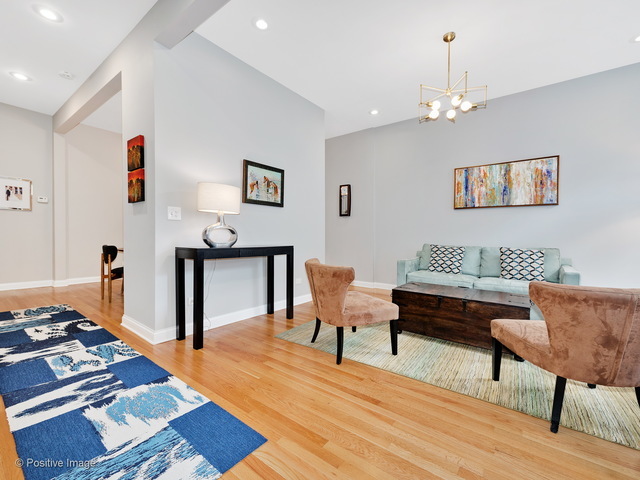 Live in the heart of one of the country’s hottest neighborhoods, walk to restaurants, bars and shopping. 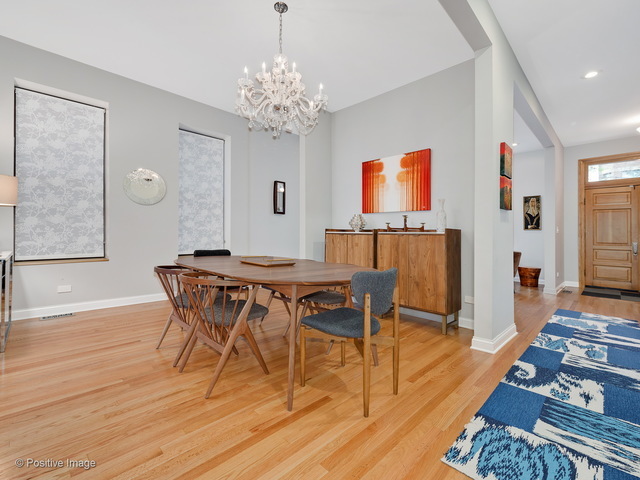 The home has 10 foot tall ceilings and a modern layout. The tall south facing windows allow abundant natural light. 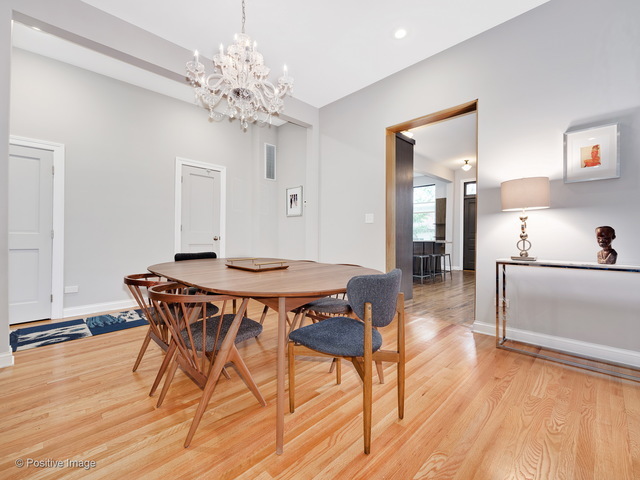 The separate dining room is smartly located between the living room and kitchen. 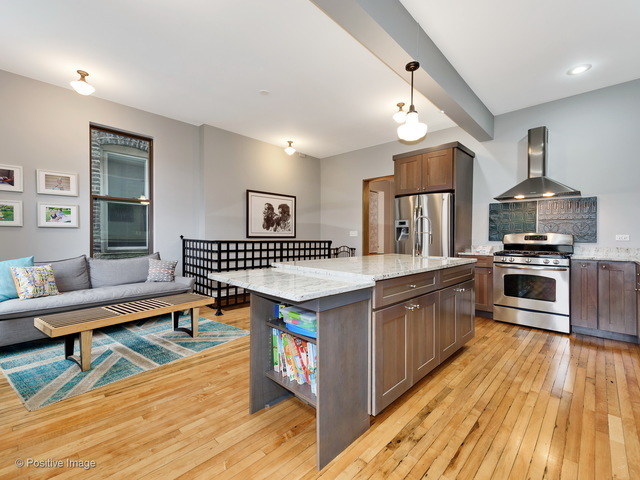 This modern kitchen has cherry cabinets, an 8′ long island, porcelain apron sink and stainless steel appliances. 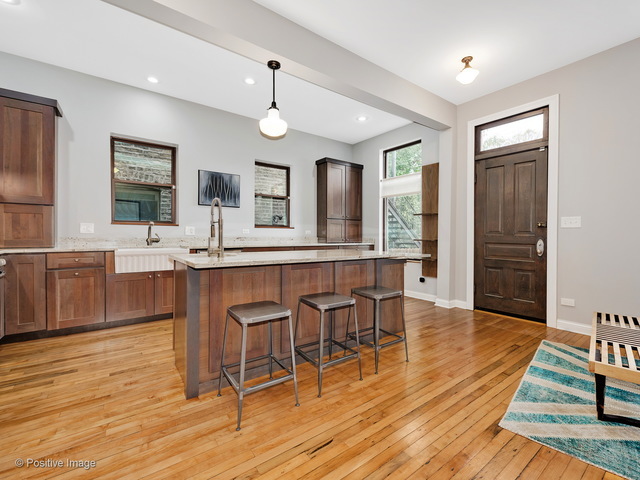 You will love to cook and entertain in this inviting kitchen. Shown as a family room adjacent to the kitchen, this space can also function as a breakfast area. 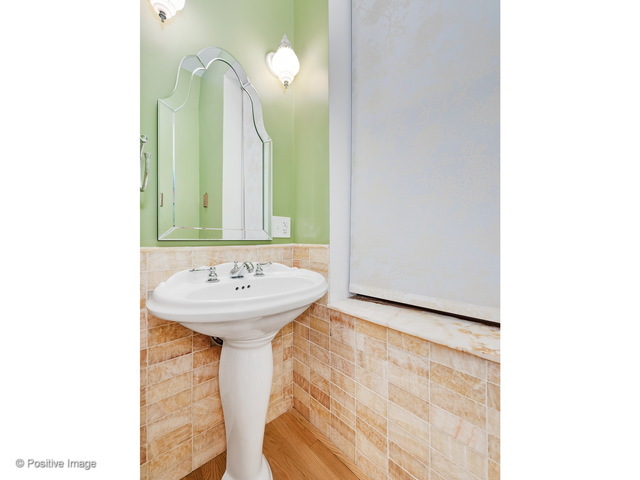 The half bathroom has a warm and elegant onyx tile. 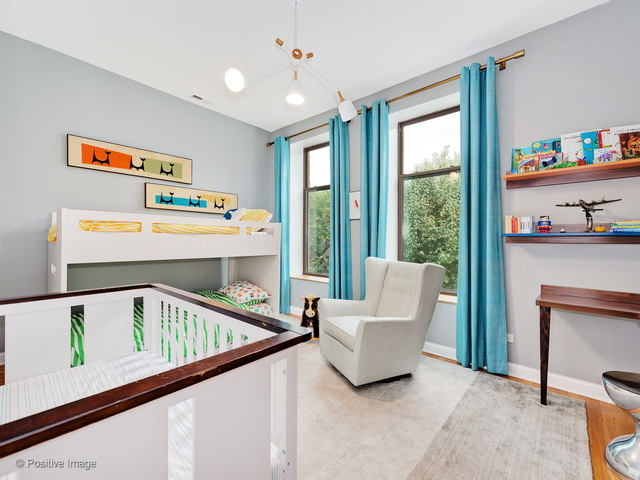 The master suite includes a master bathroom and an extra large walk in closet fully equipped with an Elfa shelving system. 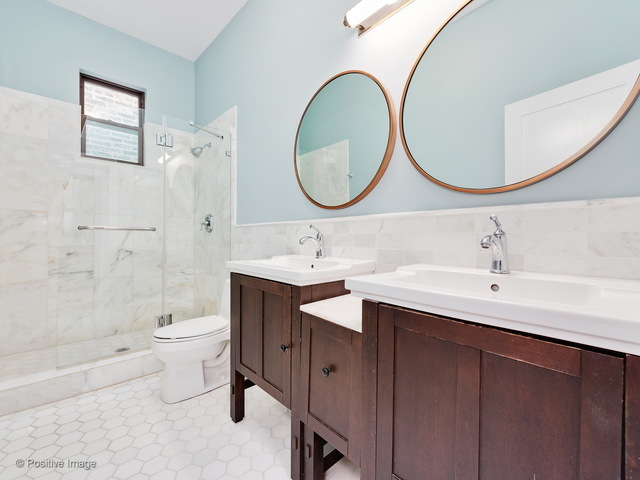 Timeless is only way to describe this white Carrara tile master bathroom. 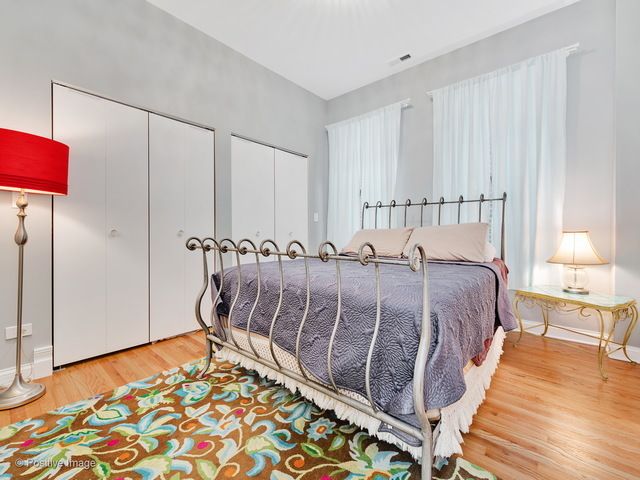 The large 2nd bedroom can easily fit a king size bed and has a spacious walk in closet. Notice the tall 7 feet tall windows in this bedroom. 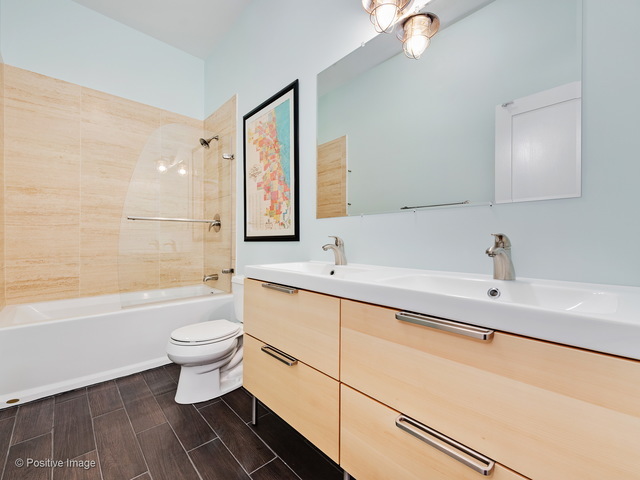 The 2nd bathroom has a dual sink vanity and modern natural stone tile. 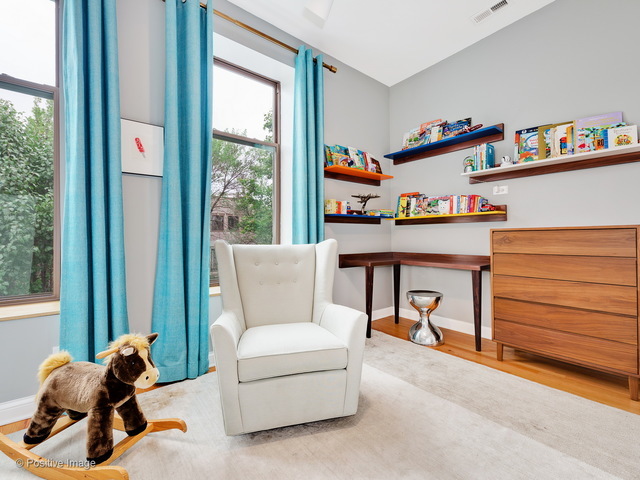 The 3rd bedroom has plenty of closet space and natural light. 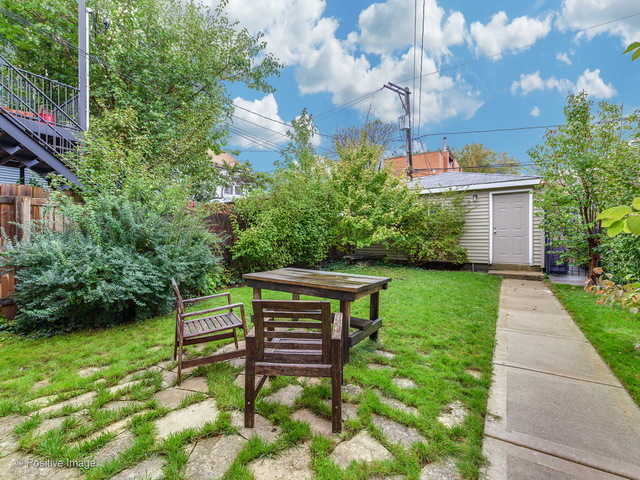 Have it all including your own urban oasis in this yard.